Whenever people track their health choices, they tend to make better decisions. One of the best things about devices like Fitbit and the Apple Watch is that it motivates people to move around more often, if nothing else, because they now have a simple way to track their progress. Simply stated, when people track something, they tend to pay attention to the little decisions they make each day. While devices like that are great for monitoring your activity, I think it would be great to have a way to track other health choices that people make, such as their grocery shopping. Do I really need to write about this? 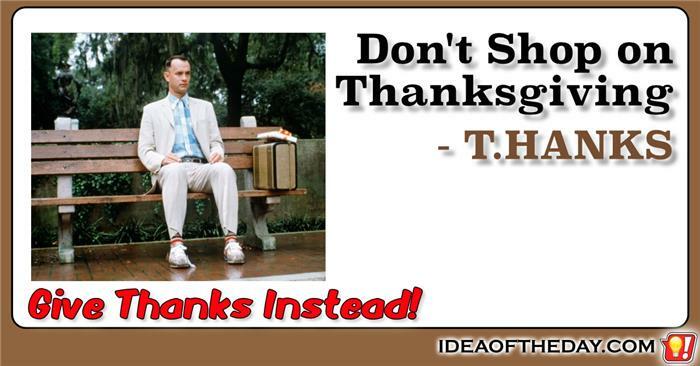 One of the great things about Thanksgiving Day is that it was always one of the few days of the year where most people had the day off specifically to spend time with their families and give thanks. It's pretty amazing when you think of it, a day set aside to simply pause... and reflect. Somewhere along the way things changed. I think the trend started in the 90s, when the media started to draw attention to the fact that retailers considered the next day to be a turning point in their sales, the day they started to turn a profit and hence "Black Friday" was born. 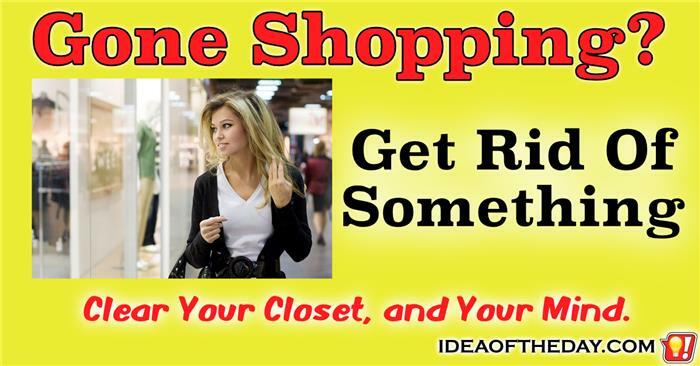 Gone Shopping?... Get Rid of Something! Let's say, hypothetically, you go to the mall, and buy 3 shirts, 3 pants, and 3 pairs of shoes. What do you do when you get home? If you're like most people you'll simply go into your bedroom and put them all away. Simple enough. But what if you did this every weekend? Sooner or later, your closets and dressers will be a big mess. If you buy 3 shirts, 3 pants, and 3 pairs of shoes... get rid of 3 shirts, 3 pants, and 3 pairs of shoes. I have to admit it, this is one of those "Do as I say... not as I do" ideas because I've been struggling with this one for a while. I have a hard time getting rid of things, but I have deep respect for people with the discipline to do it.